ZUG, Switzerland and CAMBRIDGE, Mass. and BERLIN, Germany, Jan. 22, 2019 (GLOBE NEWSWIRE) -- CRISPR Therapeutics (NASDAQ:CRSP), a biopharmaceutical company focused on creating transformative gene-based medicines for serious diseases, and ProBioGen, a premier German service and technology provider, today announced a multi-year research collaboration focused on the development of novel in vivo delivery modalities for CRISPR/Cas9 leveraging ProBioGen’s existing technology and expertise. Technical and financial details of the collaboration were not disclosed. 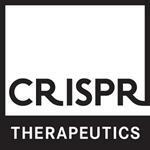 The collaboration includes a license option for CRISPR Therapeutics upon successful completion of the research goals. This press release may contain a number of “forward-looking statements” within the meaning of the Private Securities Litigation Reform Act of 1995, as amended, including statements regarding CRISPR Therapeutics’ expectations about any or all of the following: (i) clinical trials (including, without limitation, the timing of filing of clinical trial applications and INDs, any approvals thereof and the timing of commencement of clinical trials), development timelines and discussions with regulatory authorities related to product candidates under development by CRISPR Therapeutics and its collaborators; (ii) the number of patients that will be evaluated, the anticipated date by which enrollment will be completed and the data that will be generated by ongoing and planned clinical trials, and the ability to use that data for the design and initiation of further clinical trials; (iii) the scope and timing of ongoing and potential future clinical trials; (iv) the intellectual property coverage and positions of CRISPR Therapeutics, its licensors and third parties; (v) the sufficiency of CRISPR Therapeutics’ cash resources; and (vi) the therapeutic value, development, and commercial potential of CRISPR/Cas9 gene editing technologies and therapies. Without limiting the foregoing, the words “believes,” “anticipates,” “plans,” “expects” and similar expressions are intended to identify forward-looking statements. You are cautioned that forward-looking statements are inherently uncertain. Although CRISPR Therapeutics believes that such statements are based on reasonable assumptions within the bounds of its knowledge of its business and operations, forward-looking statements are neither promises nor guarantees and they are necessarily subject to a high degree of uncertainty and risk. Actual performance and results may differ materially from those projected or suggested in the forward-looking statements due to various risks and uncertainties. These risks and uncertainties include, among others: the outcomes for each CRISPR Therapeutics’ planned clinical trials and studies may not be favorable; that one or more of CRISPR Therapeutics’ internal or external product candidate programs will not proceed as planned for technical, scientific or commercial reasons; that future competitive or other market factors may adversely affect the commercial potential for CRISPR Therapeutics’ product candidates; uncertainties inherent in the initiation and completion of preclinical studies for CRISPR Therapeutics’ product candidates; availability and timing of results from preclinical studies; whether results from a preclinical trial will be predictive of future results of the future trials; uncertainties about regulatory approvals to conduct trials or to market products; uncertainties regarding the intellectual property protection for CRISPR Therapeutics’ technology and intellectual property belonging to third parties; and those risks and uncertainties described under the heading "Risk Factors" in CRISPR Therapeutics’ most recent annual report on Form 10-K, and in any other subsequent filings made by CRISPR Therapeutics with the U.S. Securities and Exchange Commission, which are available on the SEC's website at www.sec.gov. Existing and prospective investors are cautioned not to place undue reliance on these forward-looking statements, which speak only as of the date they are made. CRISPR Therapeutics disclaims any obligation or undertaking to update or revise any forward-looking statements contained in this press release, other than to the extent required by law.